Marketing trends come, go, and come back round again. For example, conversation marketing has been around since the internet took off, and will no doubt reappear in the future. But for 2015, it is rapidly becoming a hot marketing and ecommerce topic; something essential for good business, and something that all those with a Magneto ecommerce site should understand. Conversation marketing uses the power of the internet’s two-way street approach to communications. 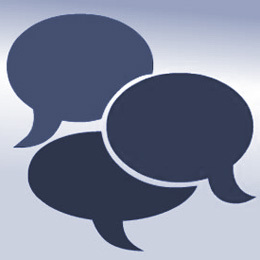 Customers can talk back directly over social media, your site’s forums, in product reviews and via help and support. This was never possible through traditional marketing, and many old-school marketers still don’t get the concept. Traditional marketing sells you something big, shiny, impressive, newer, more powerful. Conversational marketing asks “is this what you want?” and provides you with the item you need. It encourages interaction and helps guide you around the website through practical, pragmatic links to other things that you do need, and doesn’t try to load your shopping cart with irrelevant or unwanted extras. What do you want on your e-store? A million visitors who leave straight away, because they’re not interested in this big, new, shiny thing that looked good in the glossy advert? Or 100,000 customers who come to your store because they want one item that your advert told them about in direct, well-priced terms? They can buy it easily without fuss and can talk about their purchase, accessories or better options in an adult manner. The art of good conversation marketing is targeting the right customer with the right product, getting them to your store via advertising, marketing emails and other forms, but not leaving them stranded on the site. Constant monitoring of visitor paths and actions, and not being afraid to talk to customers will help the site develop further to continue to meet their needs. It is about designing your site around their wants and needs, and not those of the sales guys, always trying to push “new and shiny” to the front. It is about accepting feedback and not simply getting them to rate your site out of five stars. Consider that when you next need an ecommerce rethink with your Magneto developer; there’s plenty of discussion out there, and for niche, general or larger stores, it could pay serious rewards.